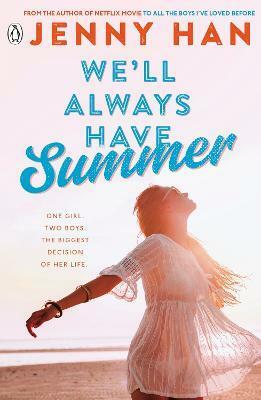 The heart-wrenching final part in the bestselling The Summer I Turned Pretty Series, perfect for fans of the Netflix smash-hit movies To All The Boys I've Loved Before and The Kissing Booth! One girl. Two boys. The biggest decision of her life . . .
Just when Isabel thinks she had everything mapped out, life proves that when it comes to love, you can never have all the answers . . .
Isabel has only ever loved two boys, Conrad and Jeremiah Fisher. She's grown up with them, and can't imagine life without them. One broke her heart, the other made her happier than she ever thought she'd be. But each brother is keeping a secret from Isabel, and this summer she must choose between the Fisher boys, once and for all. Which brother will it be? This is funny and romantic book is the breathtaking conclusion to the love triangle that kept tens of thousands of fans guessing, and is the perfect story to lose yourself in!